Christine Duhaime practices law with Duhaime Law in Toronto and Vancouver. She practices primarily in the areas of financial and institutional regulatory compliance, international gambling law, business law, corporate law and select litigation matters. Christine has a broad range of legal experience, including M&A, corporate transactions, contract drafting, resolution of business and shareholder disputes, regulatory approvals, hearings relating to various regulatory matters, securities law regulation, and investor immigration. Christine has a specialized anti-money laundering and counter-terrorist financing practice and is a Certified Financial Crime and Anti-Money Laundering Specialist. 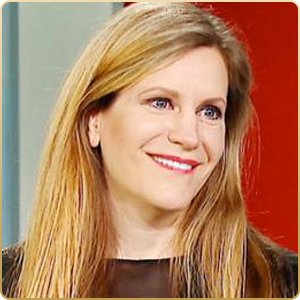 In that capacity, she advises on financial crime legal compliance which includes counter-terrorist financing and anti-money laundering law, FATCA compliance, economic and trade sanctions compliance for financial institutions, casinos, money services businesses, securities brokerages, law firms and for emerging financial regulatory areas and market regulation such as digital financial payment systems (such as Bitcoin), environmental economic crimes and carbon trading emissions. She is also one of the only lawyers in world practicing in the area of gambling and anti-money laundering law, and advises casinos, gaming companies operating on mobile and online platforms, and social media entities on compliance with gaming, sports betting, wagering, anti-money laundering, and privacy laws. Christine is writing a legal text book for Thomson Reuters on financial crime and financial regulation and compliance and the first law and policy text on digital currencies for Kluwer Law. Christine was an Adjunct Law Professor at the University of British Columbia in international commercial arbitration law and wrote Canada’s first legal text on international commercial arbitration law that annotated the UNCITRAL Model Law.